ARTIE KORNFELD BEFORE AND AFTER WOODSTOCK! When my longtime friend and sometime collaborator, Artie Kornfeld the Father Of Woodstock, invited me to the festival in 1969, I thought it was going to be a great picnic, I wasn’t expecting a life changing experience! 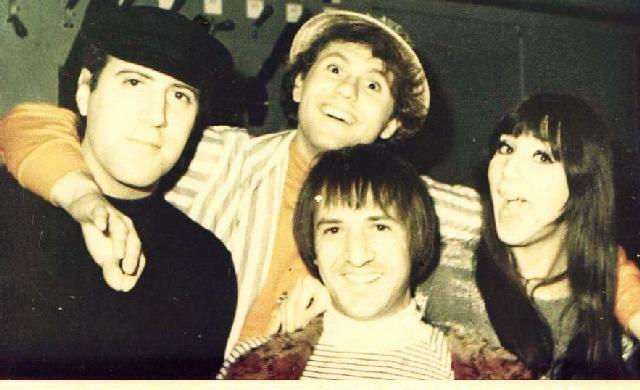 Back in 1967 my wife Sheilah was working at Mercury records as a secretary to the songwriter/ producer (“Pied Piper”, “Dead Man’s Curve”, “The Rain, The Park, and Other Things”) we hung out a lot with Artie and his wife Linda. Artie was always concerned about social issues and making the world a better place, but none of the gang at the Brill Building or from 1650 B’way ever expected that one of our own could make such a powerful impact on our culture! A few weeks ago right after the world wide celebration of the 40th Anniversary of Woodstock, I spoke to Artie who filled me in on everything going on in his life, his book, his radio show, etc. 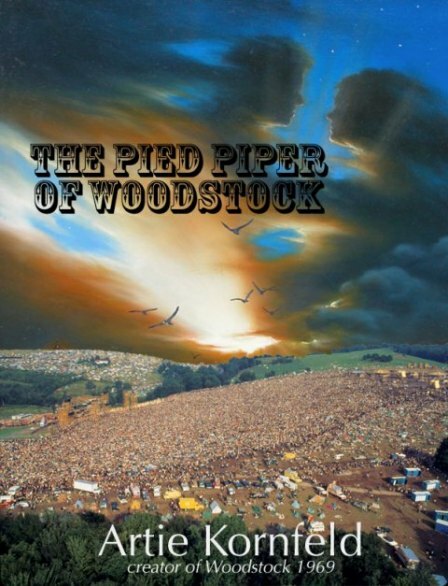 “My memories of my most wonderful days were after three recording deals and managers while attending Queens College at night that, as I tell in my book “The Pied Piper of Woodstock” that I met Charles Koppelman and Don Rubin. With a 25$ demo I took the subway into Nevins Kirchner a/k/a Aldon Music and left with a 75$ a week advance against royalties and a $ 500 advance from BMI.The bread meant nothing as I was now a writer for what soon became Screen-Gems Music. I was accepted in a world of Goffin and King, Mann and Weil, Barry and Greenwich, Leiber and Stoller, Artie Kaplan, Artie Wayne, and so many others who I had only read about and got to learn with the whole Brill Building gang and was lucky enough to have hit songs with Toni Wine my first collaborator and then Steve Duboff and Jan Berry and Brian Wilson. Even my idol Steve Allan, I thought I was in heaven and I was. That is why when I got into position my door was always open. Although we all competed we all were happy at our friends successes.. It is this love of making music and affecting others through song that the seeds for Woodstock 69 were born, I used all my knowledge of music, I actually made a living out of while learning. Those days in the rooms writing and the friendships that remain almost sacred to me are as clear in my soul as anything in my life.Those incredible days with brooks Arthur in the studio and others and the incredible Hugh McCracken. I am proud to carry on that message we all were sending out of NYC. It remains all about giving all you have for others. As Jerry Wexler told me when he backed out of a label deal in front of my attorney, the incredible Paul Marshall, who is back in my life again. Jerry said, “Artie “, d.” I am backing out because you said we are going to make a lot of money and I wanted you to say we will make great music”. Those were the most important words I have heard . Since then I have carried the sword of our groundbreaking music in three buildings and the incredible world of super talented and wonderful friends. I am so happy I took a breath and through Artie Wayne’s work and others to be back home in my heart where I started, still carrying our message. I tried to tell it all in my memoirs, scratching the surface in MY GIVE BOOK “The Pied Piper of Woodstock”, a writer is always a writer. Tags: 1650 broadway, Artie Kornfeld, Artie Kornfeld before and after woodsock, Pied Piper Of Woodstock, Steve Duboff, The Brill Building, The Cowsils video "Rain Park And Other things.